Bollywood is certainly the ultimate destination where fashion trends are made. Most of the leading ladies of Bollywood have mastered the art of presenting themselves in attires that match their personalities. loose Pants are an iconic work outfit from the 80s that have made a roaring comeback this year. Bold prints, intricate tailoring and the texture of the pants were something which defined the strength and courage of the ladies of the 80s. loose Pants have been trending for quite some time now and so we can call this a 'Trend Alert'. 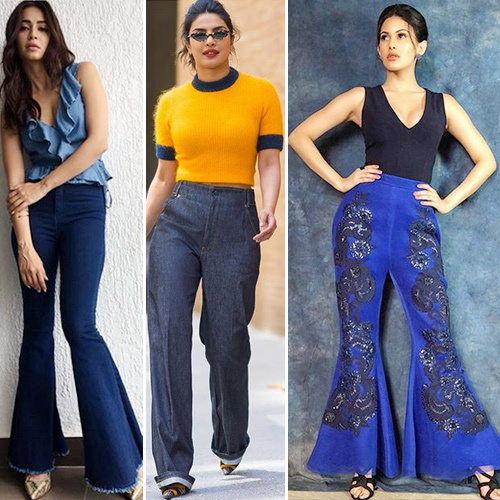 Check out Bollywood celebrities who carried this trend alert perfectly.